Who knew this would end up on my plate? OK. So these are the kinds of things your mother doesn’t warn you about when you grow up in the city. I was warned about not talking to strangers, checking the back seat before opening the car when in underground parking, and not walking alone down deserted streets after dark. I was not warned about what I might be offered for dinner at a cattle branding party! “Testicles anyone?” was not something I ever imagined I’d hear over the dinner table. Now I will admit to being a pretty finicky eater. In fact, what I might have to eat is something that helped me choose where I would (and would not) do my fieldwork for my Anthropology Degree. Knowing I would never be able to choke down insects limited the scope of possibilities substantially. My mother will confirm this and bore anyone who will listen with stories of how for the first few years of my life she thought I would starve to death because there was very little I would eat! Somehow, I think that is different. Desperate to get out of this, I turn to ‘Grandma Ella’. Now in her mid-eighties, she is matriarch of this ranching family. 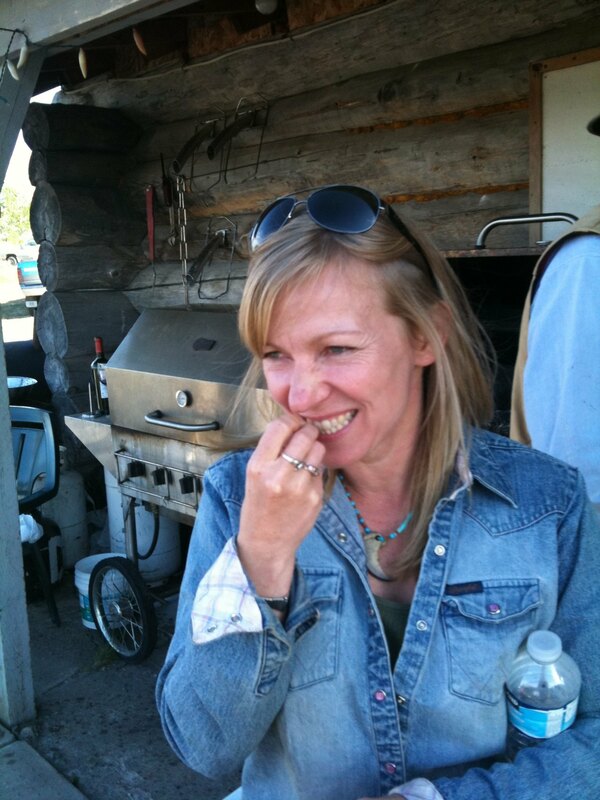 She doesn’t eat prairie oysters, never has, never will. But I quickly realize it’s a battle I’m not going to win. Not even ‘Grandma Ella’ will come to my rescue! By this stage in the proceedings several sets of expectant eyes are on me, and I cave. “OK, I’ll try one. Just one!” With a healthy dose of trepidation, I peer over the plate in front of me. I am shocked to see they look quite appetizing–that is, if you don’t consider from whence they came. The tender little morsels are glistening with fat and spread out neatly on the plate amidst fried onions. A waft of warm air heavy with garlic and spices rises up before me. It’s almost enough to make me forget that I’m being offered testicles on a plate. To help muster some courage I think about the politics of food, the ultimate sacrifice those poor little calves made only a few hours ago, and the starving millions around the world. 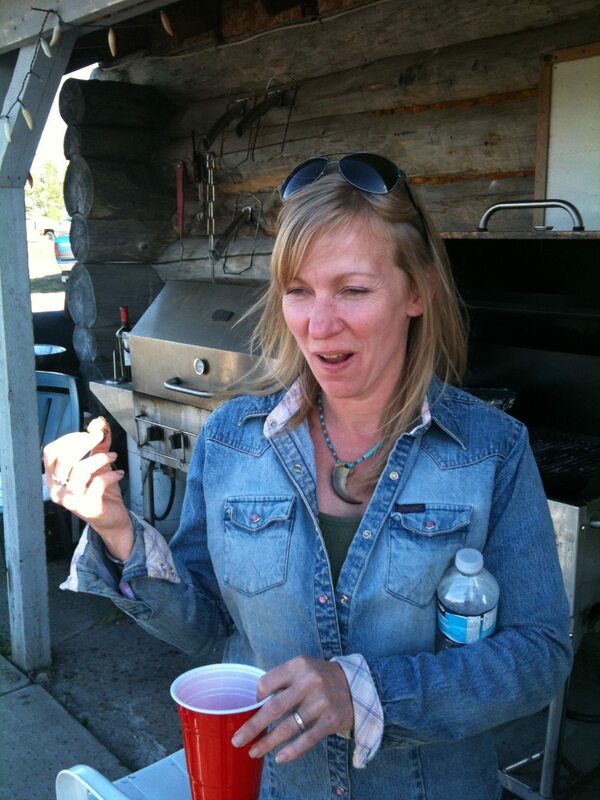 “At least I know they are fresh!” I say as I reach for my first prairie oyster. There is an unconscious little whimper emitted as I bite down on the testicle (it’s what you don’t see in the photos). My first bite of a prairie oyster. I’m still whimpering as I chew and try not to think about what it is I am eating. At this stage I can't believe I have a calf testicle in my mouth. The look on my face betrays the fact that I’m losing the battle of keeping the flashes of the morning’s activities at bay as I ponder the texture with my tongue. Texture is big for me when it comes to food. The prairie oyster reminds me of small breakfast sausages, of which I’m not all that fond. The texture is like a breakfast sausage. “I see you’ve got the emergency water bottle handy just in case,” Dennis laughs while watching me eat. “Not to mention the ‘whiskey back’,” I reply, raising my red cup up to toast the occasion (I’ve had a few shots to bolster my courage). As I chew, the delicate flavour mingles in my mouth and over-shadows my misgivings. Much to my chagrin, I have to admit that they actually taste pretty darn good and–although it may have been the whiskey talking–I actually reach for seconds. I don’t, however, let go of my whiskey! Who knew they'd be so delicious that I'd want seconds! Besides the prairie oysters, we do have roast beef. These folks have a grand facility replete with butchering shop that will hold about 25 cattle beasts at one time for aging. We head on in to do the de-boning. Actually, Jeff did all the work while the rest of us onlookers ensured a suitable level of general harassment was kept up. De-boning and preparing roasts for the barbeque. “It was a plan that was hatched at about 3:30 am one night in a state of utter debauchery,” Dennis tells me shaking his head. Then looking up, he swept his arm around the facility, “But we were all here the next day working on it!” The fellows are proud of this establishment, and who wouldn’t be. 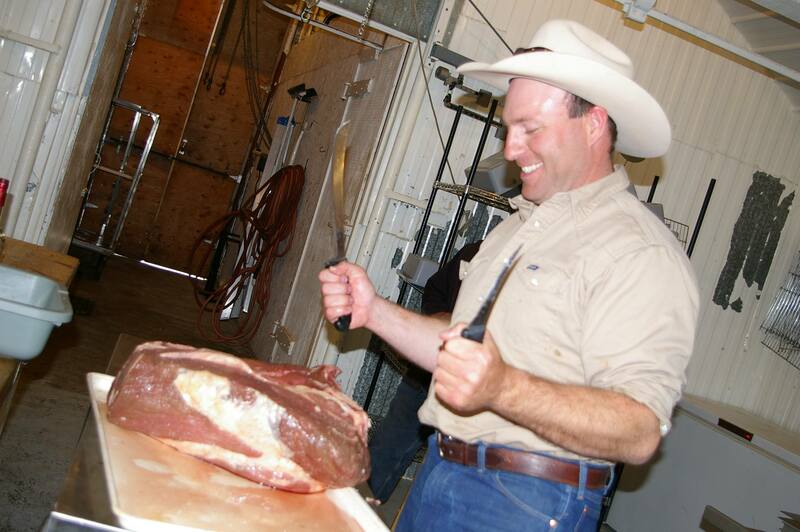 “You know, we can have an elk on the ground, then butchered, cut, and wrapped in a matter of hours,” Dennis continues, highlighting the various merits of the facility. “For example, this leg has been aged in the back cooler for 25 days,” he says, pointing to the leg Jeff is working on. Suddenly Jeff looked up, “What, here? In this facility…. oh, we’re taking our chances,” he says, then winks at me. He’s already elbow deep in the work of de-boning yet manages to participate in the camaraderie around the room. “Hey Doug, can I get some of your special brine while I’m here?” someone asks. Thanks to the people at the ranch and their generous, inclusive spirit, the weekend was not only enlightening but also a lot of fun. The weather was fantastic, the ranch was beautiful, the jobs were turned into entertainment. A good time was had by this little cowgirl. 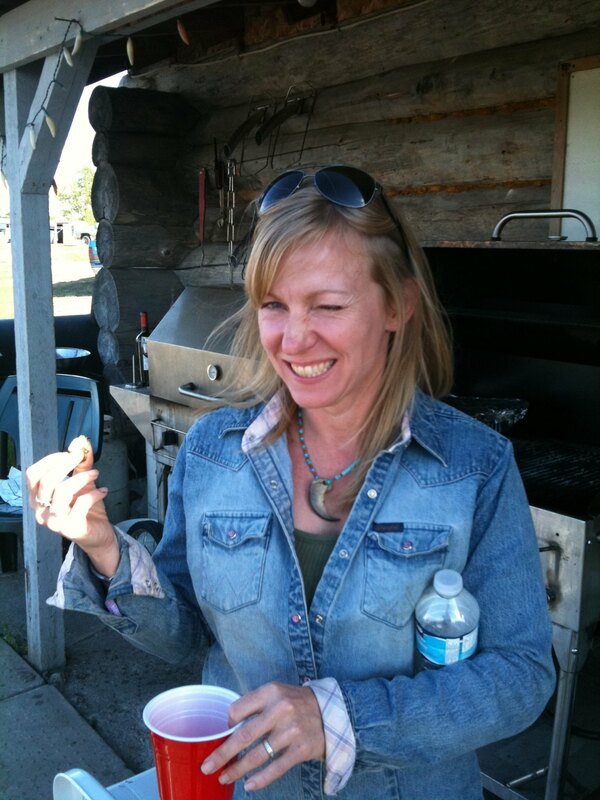 I got to experience some real Canadian ranch life–I even got to sleep in a horse trailer. 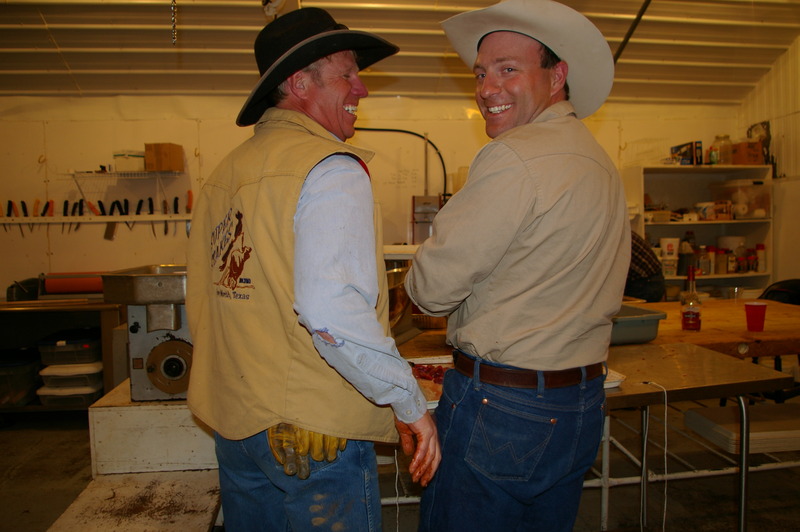 Now how is that for an authentic cowhand experience! I’m hosting our National Member of Parliament for dinner tonight, Nathan Cullen. Consequently, I had to find something to cook! Having recently butchered one of my goats (and checked with his reps that he doesn’t have any food allergies or dislikes, I decided to try finding an interesting recipe for goat leg. This recipe is inspired by Chocolate and Zucchini which calls for a lamb shoulder and I’ve made some adjustments to suit my taste and the goat leg. Pluck the needles of rosemary and discard the tough central stem (you can leave it to dry and use it as a skewer on a later occasion). Peel the zest of the lemon using a zester or a simple vegetable peeler (save the naked lemon for another use). Using a mortar and pestle, combine the rosemary, lemon zest, anchovies, peeled garlic, mustard seeds, pepper, vinegar, and oil. Grind until the mixture turns into a coarse paste. Place the leg of goat in a baking dish large enough to accommodate it, and rub in the seasoning paste, taking care to spread it well, and on all sides. (Clean your hands meticulously before and after the rubbing.) Cover with plastic wrap and place in the fridge for at least 1 hour, preferably 3 or 4. Remove the meat from the refrigerator 30 minutes before cooking to bring it back to room temperature. Preheat the oven to 220°C (430°F). Remove the plastic wrap from the baking dish. Add the unpeeled garlic cloves and the tomatoes, cored and halved, slipping them under and around the meat, wherever you can and place the quartered onions all around the goat leg and drizzle with olive oil. Place the dish in the oven to cook for 30 minutes. Lower the heat to 130°C (270°F) and cook for another 2 1/2 hours, basting and flipping the meat every 30 minutes or so. Cover with a sheet of foil if it seems to brown too quickly. Goes well with greek style roasted new potatoes or brown basmatti rice.